Lyn Dawson disappeared without a trace 36 years ago. Her family, two coroners and the current NSW police commissioner think she was killed. Her husband, Chris Dawson, has always been the only suspect. As a new podcast captivates millions around the world, the man who twice decided not to charge him with murder explains why. The elements of the story are stunning: a pretty young mother from Sydney’s northern beaches goes missing. Her husband, a strikingly good-looking football player with an unusually close relationship with his identical twin brother, tells his wife’s family that she needs some time away to think over their troubled relationship. Perhaps she’s gone away to join a religious cult. Within days of the 33-year-old woman’s disappearance in January 1982, the man has moved his schoolgirl lover into the family home. The missing woman, Lyn Dawson, never returns to the two daughters she adored and her charismatic husband, Chris Dawson, the man she called “my Chris”. Two separate coronial inquests recommend to the New South Wales Department of Public Prosecutions (DPP), that a “known person”, identified now as Chris Dawson, be charged with the murder of his wife. On each occasion, the DPP determines there is insufficient evidence to guarantee a reasonable prospect of conviction and does not lay charges. Chris Dawson continues to maintain that he had nothing to do with his wife’s disappearance. 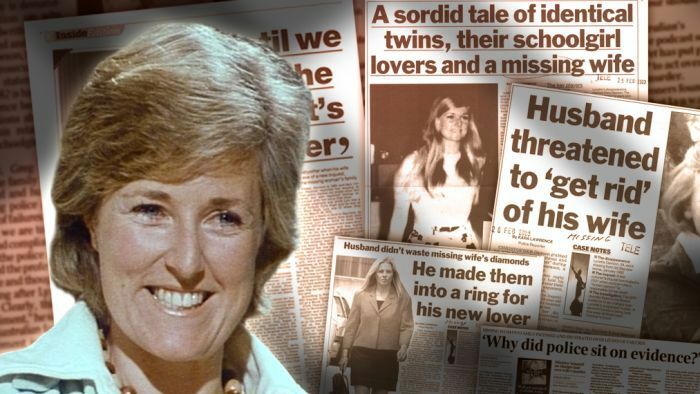 Now, 36 years since Lyn Dawson disappeared, a blockbuster podcast, The Teacher’s Pet, has thrown an intense new spotlight on this extraordinary story. It’s looking ever more hopeful that the case might soon be resolved and Lyn’s family will finally see justice done. In April, police sent a new brief of evidence to the DPP. “It’s an exciting step in this and in potentially finally solving this crime,” NSW Police Commissioner Mick Fuller told Australian Story. Meanwhile, the man who decided not to prosecute Chris Dawson twice for murder, former NSW director of public prosecutions Nicholas Cowdery QC, has given Australian Story an exclusive interview outlining his reasons for not laying charges. “Without a body, without knowing first of all whether in fact she is dead, without knowing secondly if she is dead, how she died, it’s very hard to mount a case of a reasonable prospect of conviction just on motive and the undefined existence of means and opportunity. That makes it very weak,” he said. Hedley Thomas could never let go of the Lyn Dawson story. In 2001, the investigative journalist covered the first inquest into Lyn Dawson’s disappearance. Thomas thought he had finished with the case when he put a box of notebooks and research papers onto a shelf in the roof of his carport. But it would continue to haunt him. “This story moved me in an unusual way,” says Thomas, now a senior investigative journalist at The Australian and the creator of this year’s 14-part podcast series about the case, The Teacher’s Pet. It has been downloaded more than 17 million times around the world. He felt that if he could reconnect with every last person mentioned in the police brief of evidence and find new subjects who might know something, he perhaps could help resolve the case. Chris Dawson met Lynette Simms when they were at high school — he at Sydney Boys High School and she at Sydney Girls High School. They were both prefects: together, they were a golden, clean-cut couple. Chris and his twin Paul played for the Newtown Jets rugby league club and did some modelling work. An ad for David Jones shows the boys in Levi jeans with a woman in a football jersey and bikini briefs. In a Simms family photograph, a towering Chris rests his square jaw on Lyn’s head. Now, looking back at old vision of Lyn from a 1975 ABC Chequerboard program about identical twins Paul and Chris Dawson, Thomas thinks she looks like a young, innocent Princess Diana. The vision shows the twin brothers socialising together with their wives and in their jobs as physical education teachers at high schools on Sydney’s northern beaches. It was at Cromer High that Chris Dawson fell in love with his Year 11 student, 16-year-old Joanne Curtis. Lyn’s friends knew she was having marital problems. Lyn, a nurse, would come to work with bruises and confided that Chris was rough with her. On the day before she vanished on January 7, 1982, they’d been to marriage guidance counselling. Lyn was desperate to make the marriage work. Chris Dawson did not report to police that his wife was missing for nearly six weeks. Yet within days of telling her family she’d gone away for a break to think about their relationship, he’d asked Joanne to move in with him. He used Lyn’s engagement and eternity rings to craft a new engagement ring for Joanne and the schoolgirl lover eventually became his wife. Police made cursory inquiries and took Chris’s word for it that Lyn had abandoned him. In his one statement to the police, unearthed by Thomas, Chris blames his marital troubles on Lyn’s “excessive spending on her bank card”. There’s no mention whatsoever about his relationship with the schoolgirl. Hedley Thomas believes that, in the attempt to solve the Lyn Dawson case, there has been systemic failure on a number of fronts over three decades. It wasn’t until 15 years after Lyn’s disappearance that dogged detective sergeant Damian Loone took the case seriously. By then, Joanne Curtis had left Chris Dawson after six years of marriage. She told Loone in a formal police interview that he was violent. “I feared for my life at that point. I made the decision to leave because I was scared. I was desperately unhappy,” Joanne Curtis said in 1998. 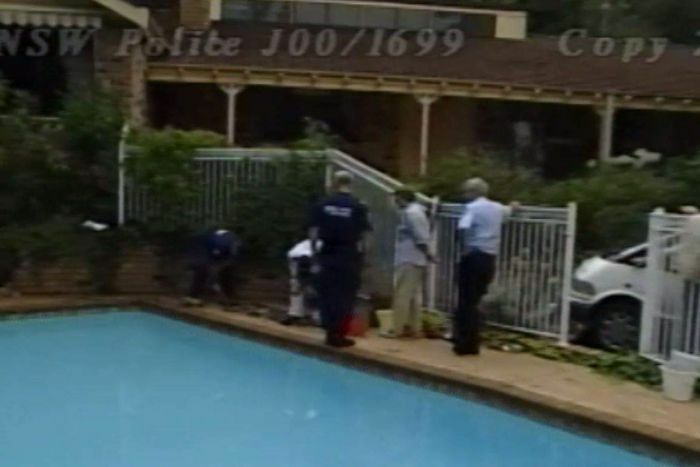 Detective Sergeant Loone arranged for cadaver dogs and forensic scientists using ground-penetrating radar to dig for remains near the swimming pool at the family home in the affluent suburb of Bayview, 30 kilometres north of the Sydney CBD. They uncovered a pink cardigan — a neighbour said it was the missing woman’s favourite. 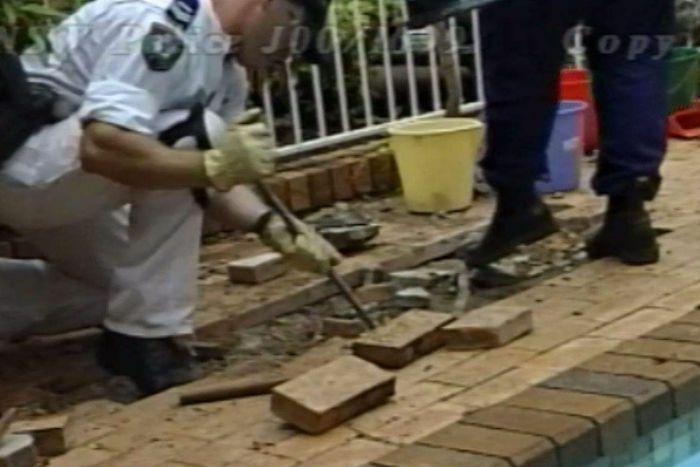 Limited budgets meant that a 1999 dig at the Dawson family home in Bayview had to be curtailed. No body was found but Loone took his brief of evidence to the coroner. “One of the hardest jobs you have to do as a police officer is accuse someone of murder,” Detective Sergeant Loone recalled to Australian Story in 2003. The first coroner, in 2001, took one look at the police brief and referred it to the DPP, recommending charges be laid against a “known person”. Then-NSW DPP Nicholas Cowdery declined to prosecute on the grounds that witness statements hadn’t been tested by the coroner. The second coroner, in 2003, made the same recommendation. Mr Cowdery again chose not to prosecute. “I have not refreshed my memory from 17 years ago about why I decided on the basis of information that was before me. All I can say is that quite clearly I was not satisfied in my view that there was a reasonable prospect of conviction,” Mr Cowdery said. For the past three years, NSW homicide squad detectives have been reviewing evidence, taking new statements and following fresh leads in the case. Police Commissioner Fuller said the brief was sent to the DPP in April. “We’re hoping the new evidence is enough to push this matter into criminal prosecution,” he said. Mr Cowdery says he supports a fresh assessment if there are grounds for revisiting the case. “If there is something either new factually, or something new by way of interpretation of those facts that needs to be looked at, then fine. I’m all for it,” he said. Hedley Thomas believes his investigation has turned up new evidence, in the form of a witness who saw Chris Dawson being violent to Lyn and a police statement from 1982 in which Chris fails to declare his relationship with Joanne Curtis. For Lyn Dawson’s family, the public’s response to the podcast has been overwhelming. “Without this podcast, we would have gone on for the next 30 years and nothing would have happened,” Lyn’s sister Pat Jenkins says. ABC’s Australian Story approached both Chris Dawson and Joanne Curtis for comment for this story. Watch Australian Story’s The Teacher’s Wife at 8pm on ABC TV and ABC iview. After year of tragedy, how ready’s Indonesia for other disasters?